Well it’s half way through The Wildlife Trust‘s 30 Days Wild and I have to admit, I am loving it! The two weeks have gone so fast, though it really has made me look extra hard at the nature in my environ and made me value what’s there. 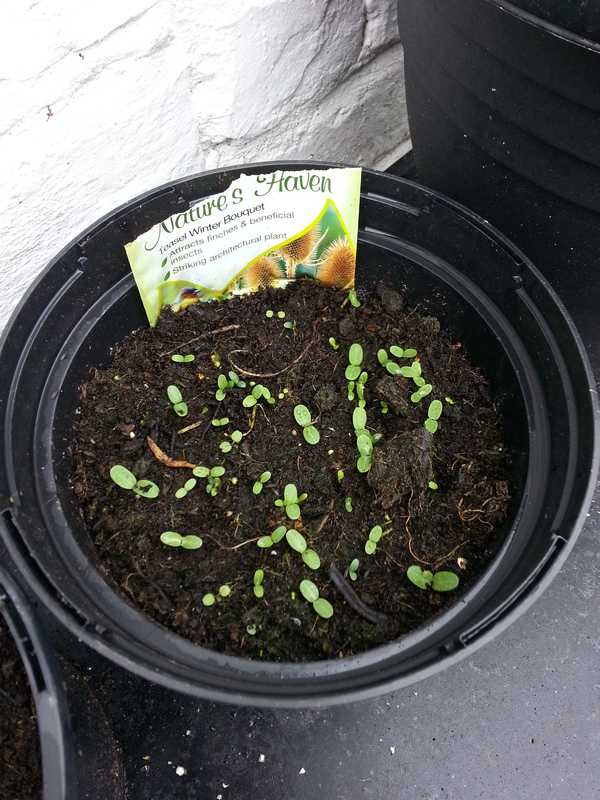 I also noticed tiny seedlings popping through the soil in the other planters where I planted Teasel seeds, I hope some mature! Fingers crossed! We had another bee visitor to the garden to add to the numerous, Garden, Tree Bumblebees and Red Mason Bees already visiting. 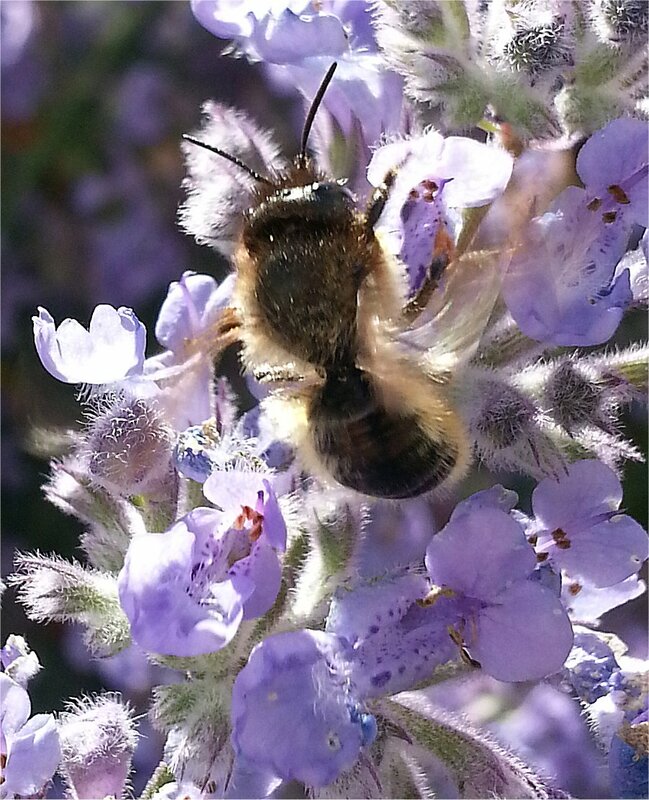 It was the first sighting of a Wool Carder Bee. To be honest I have never heard of one, until now! But I am amazed at how much diversity of species is found in just one small garden! My planting for wildlife has really been a great success! I also spotted while in the garden the visiting Swallows. I was honoured to see one had finally settled and sat on a TV aerial! The footage isn’t great, I couldn’t keep my hand from shaking, but you can clearly hear his song! Today was a grim day weather wise and while I stopped for lunch at work, it also became a dark day emotionally too. I always check my phone during lunch break and today noticed three text messages all from my Mum! I read them in ascending order and my stomach knotted after reading the last. My Mum was home on her own. Pearl, one of the three remaining of the 15 cats we once had, had a turn. It was not totally expected, Pearl had become frail over the passing weeks, she was 17 years old! I later found out that Pearl was found unconscious and Mum hastily took her to the vets. On arrival the vets checked Pearl out and could have attempted resuscitation. However the decision was made that resuscitating Pearl wouldn’t be beneficial after the vets found that she had a tumour in her stomach and shrunken kidneys. Mum bravely went in to be with Pearl, though Pearl was unconscious and oblivious. Due to Pearl’s lungs shutting down she had a gas mask over her mouth. The vet said that Mum had done the correct thing in bringing Pearl to the vets, as if she had left her at home, she would have died there! Mum said Pearl passed away peacefully. The vets at Adams veterinary Centre were fantastic and cared both for Mum and Pearl. 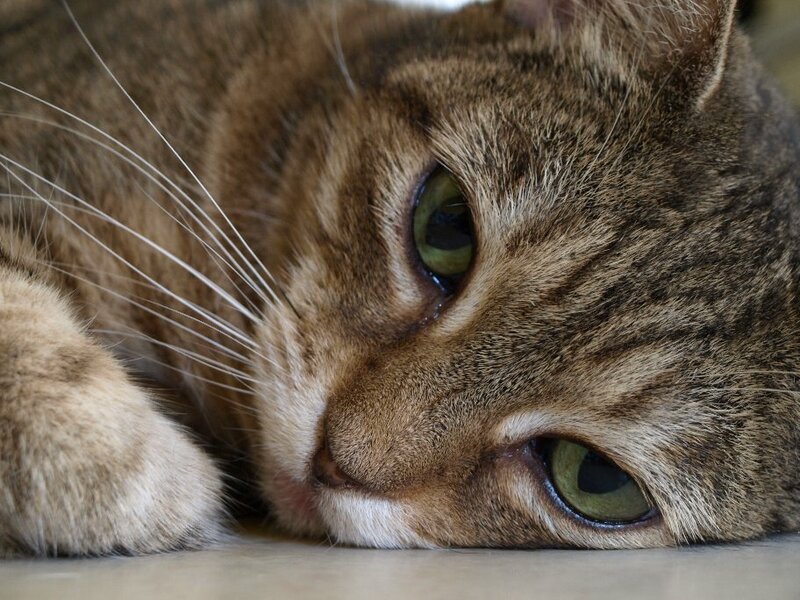 Whenever we have been to Adams vets, we have had immaculate service, it’s just a shame that most of the time we go because one of our cats is ill! On a lighter note, once David and I were home from our respective employment, after dinner we noticed a lethargic bee sitting on the Cat Mint. I noticed she hadn’t moved for over half an hour! We decided to pop out into the garden and see what was wrong! As soon as David placed his hand by the bee it sauntered towards him and sat contently on his hand. I rushed inside to make a spoonful of sugar, (as the Disney song goes) and water. 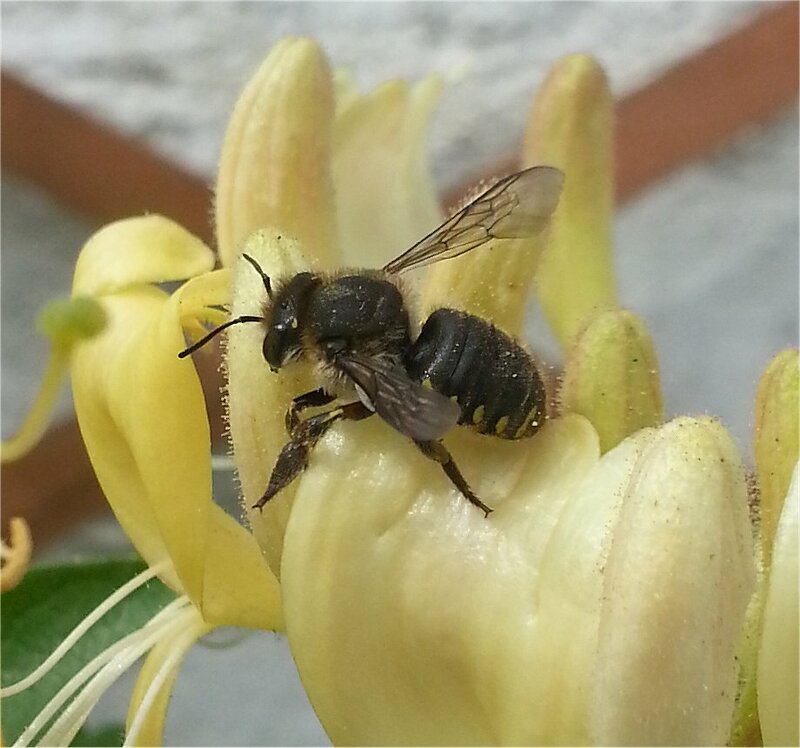 With the solution, David placed a droplet before the bee. The bee walked about his hand and then it smelled the sugar. It was almost as if the bee sat up! Her proboscis shot out and she started lapping up the solution. It was indeed fascinating to watch as inside her proboscis it looked like the bee had a little tongue also! After a few droplets of solution the bee seemed to get more energised and she eventually started to fly, a little laboured to start with. David described the bee as flying a circle around us as a ‘thank you’ before she flew over the wall! I hope she was just tired after foraging and that there was nothing more serious, she indeed had a full basket of pollen! On a mid week shopping spree I bought some lard as I had run out of fat balls and did not know when the next time I could get to B&M. I decided to do another suggestion from the 30 Day’s Wild challenge and make some food for the birds! I used a 250g pack of lard (I warmed this up in the microwave for 2 minutes). I sprinkled some bird seed, dried meal-worms, and plain flour into the mix. I then found the mixture was too runny so I added some dried oats and then spooned the concoction into plastic cups (I bought 50 for £1) with string fitted so I could hang them on branches. I also put an A4 piece of paper into a fat ball feeder and spooned the mixture inside to make a fat block! I left them to one side to solidify! Once hardened, I hung in the garden. It didn’t take the Starlings long to notice the new food! 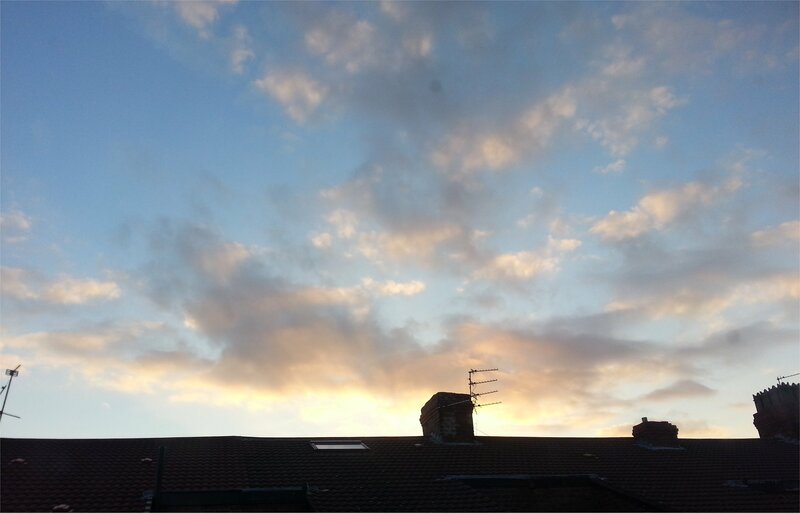 In the evening I attempted to watch the setting sun, however the clouds (I couldn’t tell what type even after half an hour trawling through the internet,) were not best placed and all I got was a slight tinge. I will have to keep trying to capture a good sunset! David is becoming a real Dr. Bee-little. Again he saved a bee from being tired and cold! This time after the sugar/water solution did not do wonders, David brought the bee into the house for a warm! 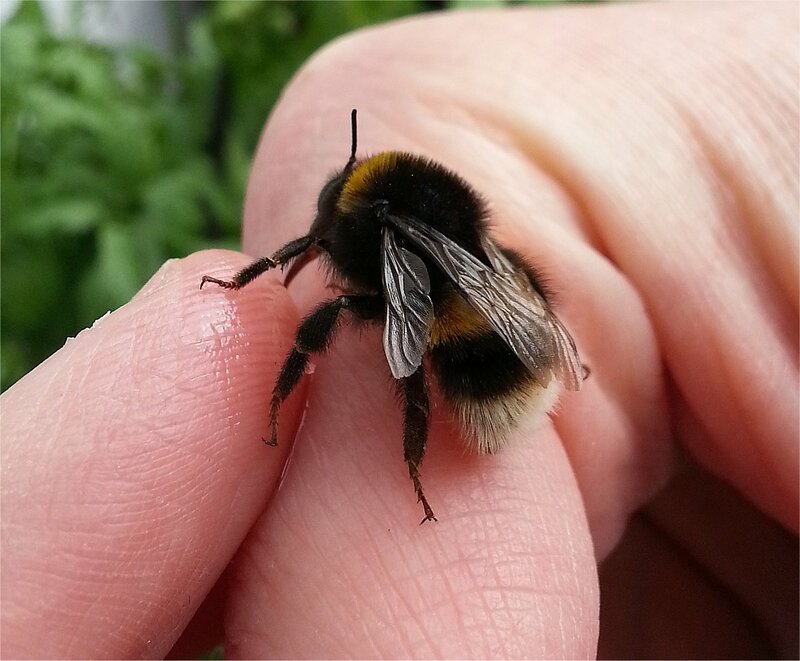 It soon revived and David said once he had taken the bee back outside it orientated itself and flew off. Can I say ‘phew’ what an epic Saturday? I haven’t stopped, nor had time to do any house work! In the morning we spent hours shopping and in the afternoon, after lunch, we visited David’s parent’s and spent a lovely few hours with them! We got home just before 5pm and the rain that had blighted the day had cleared to leave a lovely sunny, and warm afternoon! I rushed out to sit in the garden for a few minutes before making a start on the evenings dinner. The Cat Mint was full with bees! I counted at lest seven on it at one time! 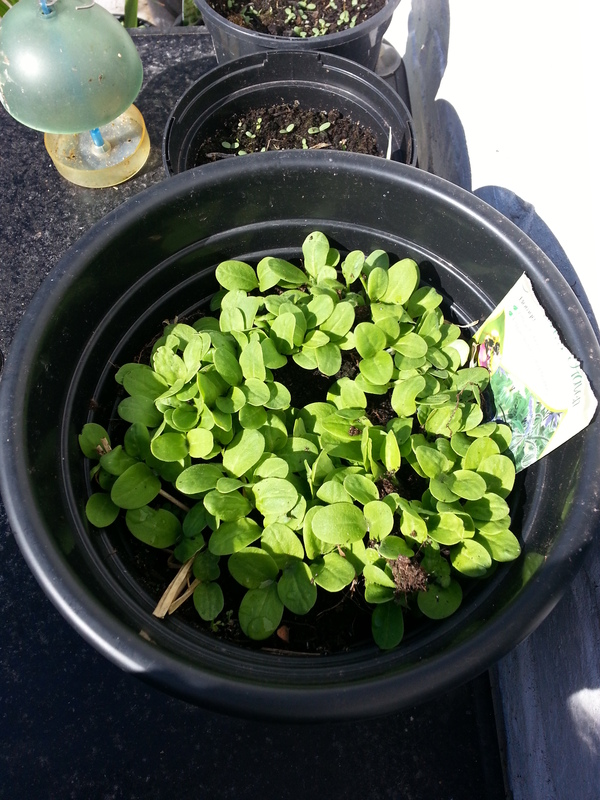 I saw what I thought were Honeybees on the Cat Mint, but apparently they were just tired Mason Bees. Poor little fellas! For dinner I made a Spicy Vegetable and Barley Soup, but it ended up more like a stew than a soup! So I tweaked the recipe for here. Heat the olive oil over a medium heat then add the onion and sauté until the onion is soft (about 3-4 minutes). Then add the chilli, the Carrots, Celery and Leeks and sauté for another 3-4 minutes, stirring occasionally. Lastly add the garlic and sauté for a minute. Stir in the vegetable stock, tomatoes and barley. Bring to a boil then reduce heat and allow to simmer for 30 minutes, stirring the soup occasionally. Add the cayenne pepper, salt and pepper to taste. 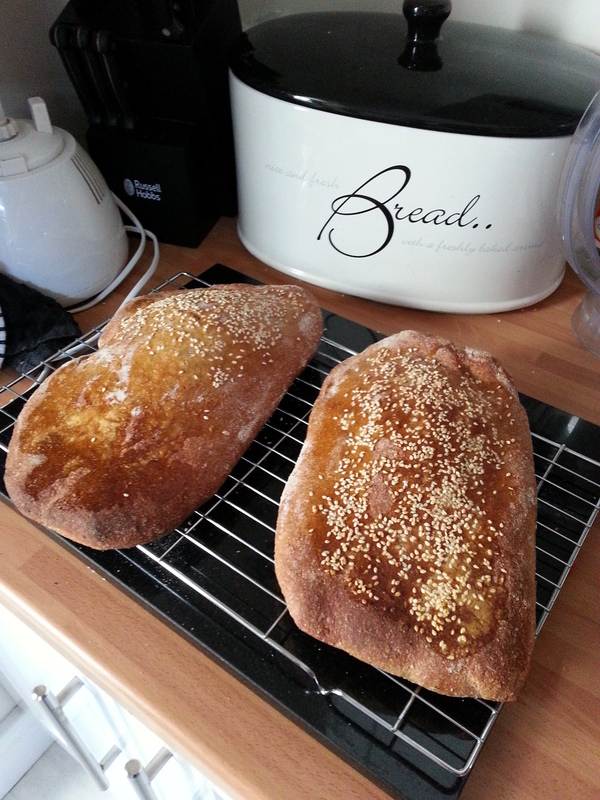 The bread I decided to make was a wholemeal Turkish flat bread. However I don’t think it was very flat nor very Turkish, though it was the best thing in the meal! Combine flour, yeast, sugar and salt in a bowl. Make a well in the centre and then add the water. Use hands to bring the dough together in the bowl. Turn the dough onto a lightly floured surface and knead until smooth and elastic. Place dough in a bowl and cover with a towel. Set aside place for 1-1 1/2 hours or until the dough has roughly doubled in size. Turn dough onto a lightly floured surface and cut in half to make two pides. Flatten slightly with hands. Place each pride on separate pieces of floured, non-stick baking paper/baking tray. Cover with a towel and set aside in a warm, draught-free place for 15 minutes. With floured hands, stretch each piece of dough into desired shapes. Leave on non-stick baking paper/baking tray. Cover with a towel and set aside again for 10 minutes. With egg yolk in a bowl. Brush the top of each pide with egg mixture. Use floured fingers to make indentations on top and sprinkle with sesame seeds. Cook pides for 15 minutes or until golden. Cool on a wire rack. House Sparrows and their young! 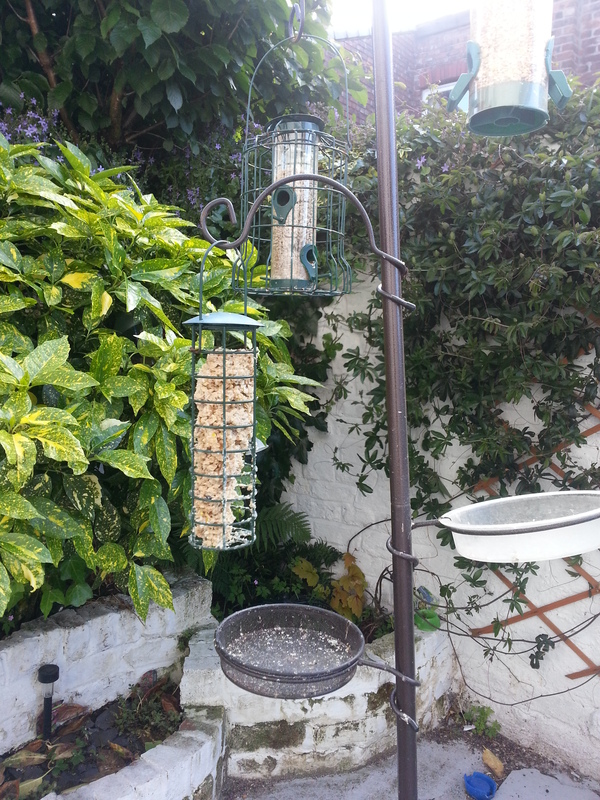 Sparrows only visit our feeders for a short period of time before moving to better gardens with more variety! I managed to get footage of both Starling and House Sparrow fledglings. The Starling was eating the fat balls I had bought while the House Sparrow was enjoying a nice bath! David also saved two bumblebees today! One he found in his rockery being pinched by an insect. He couldn’t identify what it was, though did manage to get the bug off the bee’s leg. David then placed the bee on the Cat Mint and watched as the bee happily started collecting nectar. Minutes later Artie had caught a bumblebee in his mouth and had taken it through the house, with David and myself following after! 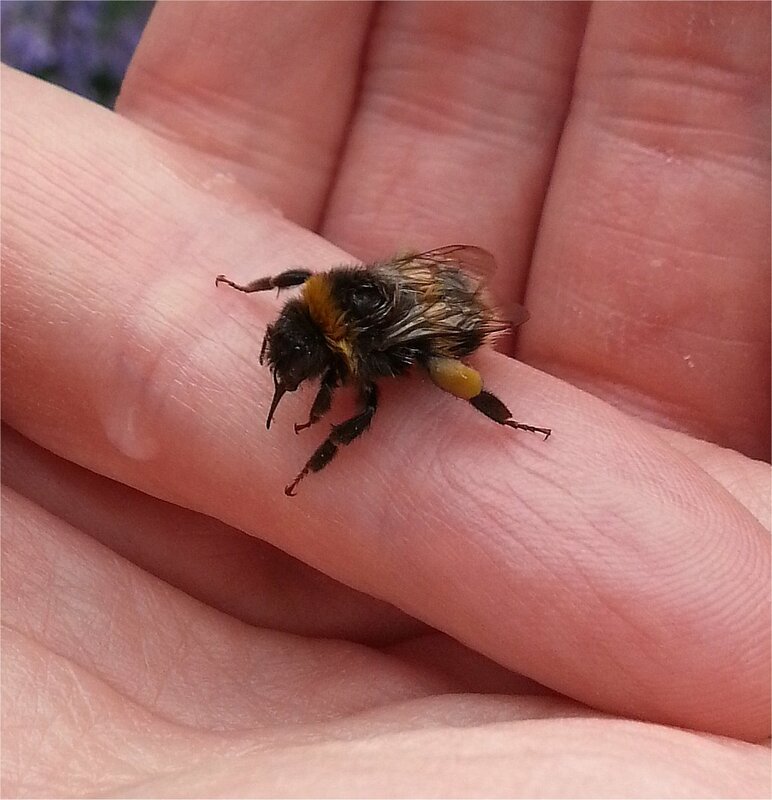 David managed to rescue the bee from the jaws of Artie and released it outside where it flew off, lucky to have escaped!